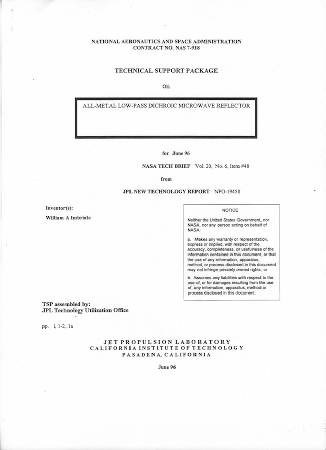 A proposed all-metal low-pass dichroic microwave reflector. The reflector would be a moderately thick metal plate containing a periodic pattern of resonant slots that would make the plate effectively transparent at the frequency of resonance. NASA Tech Brief. 8.5" x 11"